Quietly nestled between the Strait of Juan de Fuca and the Olympic Mountains, Port Angeles is located in Clallam County on the North Olympic Peninsula of Washington State – U.S.A. 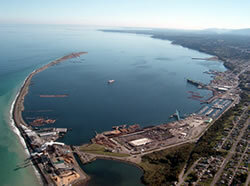 Incorporated in 1890 – Port Angeles has progressed into the 21st century while still holding onto steadfast traditions of hard work, family and community. Dr. Rob Epstein was born and raised in Seattle, Washington. He earned a Bachelor’s degree at the University of Washington; then completed a Master’s in Nursing at the University of Tennessee. Dr. Epstein attended medical school at the University of Washington School of Medicine, and then completed his residency in Family Medicine in Spokane. Dr. Epstein’s wife, Betsy Wharton, and their two children, Forrest and Maya, enjoy being involved in the community and doing anything outside. His medical interests include obstetrics, pediatrics and procedural medicine, as well as teaching medical students from the University of Washington School of Medicine. Jessica Colwell, M.D. • Ben Curran, M.D. • Christopher Frank, M.D. • Ned Hammar, M.D. • Lindsey Hay, M.D. • Michael Maxwell, M.D. • Rienera Sivesind, M.D. • Kate Weller, M.D. Internal Medicine: Bill Hobbs, M.D. • Mark Fischer, M.D. • Fank Jahns, M.D. • Rob Gipe, M.D. Public Health Officer: Christopher Frank, M.D. Emergency Medicine: Steve Churchley, M.D. • James Wallace, M.D. Geriatrics/Palliative Care: Paul Cunningham, M.D. Clinic: Initially founded in 1979 by Dr. Stan Garlick, M.D., North Olympic Healthcare Network is the oldest locally owned and operated primary care clinic in Port Angeles. The clinic relocated to newly rennovated facilities just two blocks from the waterfront. Awards for this clinic include the National Rural Health Quality Achievement Award in 2009 and for several years running, the recipient of the Health Care Quality Leader Award by Premera Blue Cross. In 2015 Family Medicine of Port Angeles transitioned from being a private practice to a Community Health Center, also called a Federally Qualified Health Center (FQHC). Thename was changed at that time to North Olympic Healthcare Network (NOHN). NOHN, in conjunction with Swedish Cherry Hill Family Medicine Residency, is starting a Rural Training Track (RTT) for residents in Family Medicine. Residents will spend their first year at Swedish Hospital and Cherry Hill Family Medicine Residency in Seattle. During their second and third years of residency, they will be at NOHN and Olympic Medical Center. Adult medicine (preventive care, acute illnesses, hospital, and nursing home care). Pediatric medicine (well child, preventive, acute illnesses, and hospital care). Obstetrical medicine (low and high risk obstetrics with over 175 births annually). Special procedures include circumcision, vasectomy, colonoscopy, tubal ligation after childbirth, colposcopy, upper GI endoscopy, skin biopsy, cryosurgery, endometrial biopsies, audiograms, and more. Full service family practice including hospital care & hi-risk OB. Clinic is a Patient Centered Medical Home. Internal Medicine, Pediatric, Psychiatric, and Surgery preceptors available. Hospital:Olympic Medical Center (OMC), located in Port Angeles, Washington, is a comprehensive health care provider for more than 70,000 residents of Clallam County. 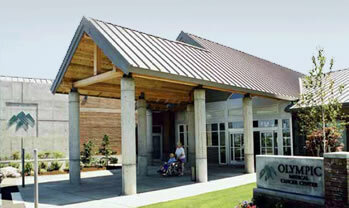 It provides emergency, surgical and birth center services at its 126-bed acute care hospital, and outpatient services, including cardiac, imaging, cancer care, rehabilitation therapy, laboratory, nutrition, diabetes education, sleep medicine, home health and primary and specialty care services at locations throughout the region. Thanks to a highly skilled medical staff, state-of-the-art equipment and access to world class health care resources, OMC can provide local expertise for all your health care needs. The hospital’s web site is www.olympicmedical.org. Students will accompany preceptors to Crestwood Nursing Home as scheduled. Housing is a 3 bedroom-2 bath with shared kitchen. There is a washer/dryer, cable, and internet available. Not pets are allowed. Situated in a quite neighborhood not far from hospital, clinic, and downtown. 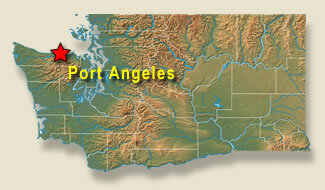 Port Angeles is about a two and half hour drive from Seattle. To see a map of where we are located and/or get directions from other locations, go to the following maps.google.com (for directions, click “Get Directions” in the upper left-hand corner where you can input the starting address). Students need to bring their own transportation. The area has abundant recreational activities. 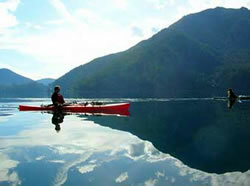 Fair weather activities include all water sports and outdoor sports. Winter activities include skiing at nearby Hurricane Ridge and nordic skiing. 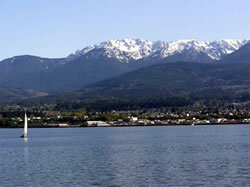 Port Angeles is the gateway to the Olympic National Park and Forest areas and is near the rugged coastal areas on the western peninsula. The beautiful waters of the Strait and Peninsula rivers are close by. Port Angeles enjoys a moderate coastal climate with average daytime highs of 60 degrees in July and 40 degrees in January. Average rainfall is more moderate at 25″ compared to Seattle at 36″ or Forks at 117″.